If your home has asphalt shingles installed one of the greatest threats to your roof is wind. Weather always plays a part in damages caused to a home but for the roof wind is one of the main factors that can cause it to fail. Having wind damaged shingles on your home can lead to leaks and more. 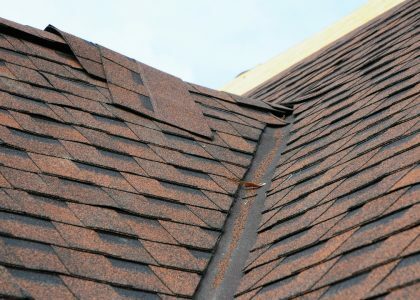 In this article I’ll explain some of the things you’ll need to look for on your roof and also what you should do if you have roof damage on your home. If your home has asphalt shingles installed one of the greatest threats is wind. However, most home owners don’t know how to inspect their roofs after a storm. And more importantly, why they shouldn’t go up on their roofs looking for damage after a storm. There are many signs that will show on the ground that you can use to determine if your home has wind damaged shingles or not. The following tips can help you determine if your home’s roof has been damaged by wind. When your home’s roof has been damaged by wind many times pieces of the roof will be blown to the ground. Check around your home for pieces of broken shingles that may litter your yard. 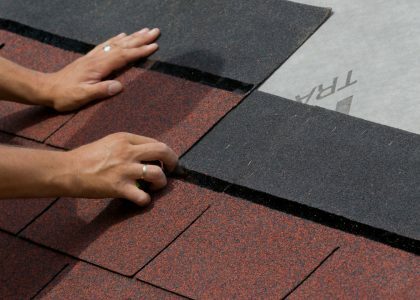 If you find asphalt shingle pieces that are the same color as your home’s roof be sure to get a roof inspection done as soon as possible to determine if there is a need for roof repair. These are just some of the things that can go wrong when your home is exposed to high winds. Of course, when rain and snow also affect the home the results can be much worse. Especially when your roof is damaged and allows water to leak inside the home. This can lead to all sorts of problems including interior damage and even promotes mold growth in the home. Metal roofing has become more and more popular over the last decade or so. 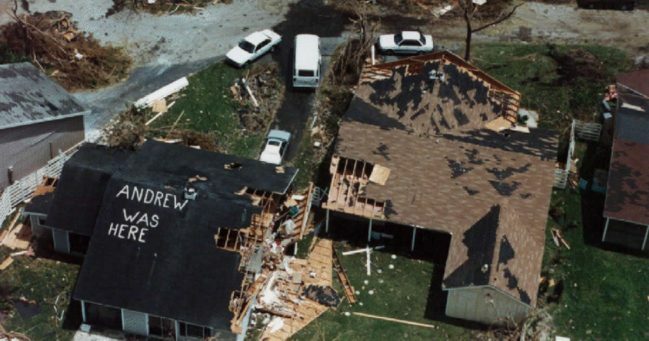 However, even homes with metal roofs are no match for Mother Nature when she gets angry. Metal roofing can be damaged just like asphalt shingle roofs however the details are not always as clear when it happens. And just like wind damaged shingles when the metal gets damaged it will start to leak as well. When metal roofing is damaged however you won’t see anything on the ground. That is, unless the damage is really great and pieces of metal were torn from the roof. Usually finding parts and pieces of the roof is because there are shingles installed on the roof. Metal roofing can be damaged just like asphalt shingle roofs however the details are not always as clear when it happens. And just like wind damaged shingles when the metal gets damaged it will start to leak as well. One thing that you shouldn’t do is inspect the roof yourself. There are many dangers that await you and you can be seriously injured or even killed if you fall from your home’s roof. It’s best to leave the roof inspections to the roofing experts. If you have a drone you can fly the drone around the roof to determine damages and get a better look at it. However, most times if you suspect there is damage to your home’s roof it’s best to get a roof inspection from a reputable roofing contractor in your area. Most roofing contractors offer free estimates on roof repairs although the roof inspections may cost you. Even paying a little for a roof inspection from a reputable roofing contractor is much better than the cost of repairing the inside of your home from water damage.